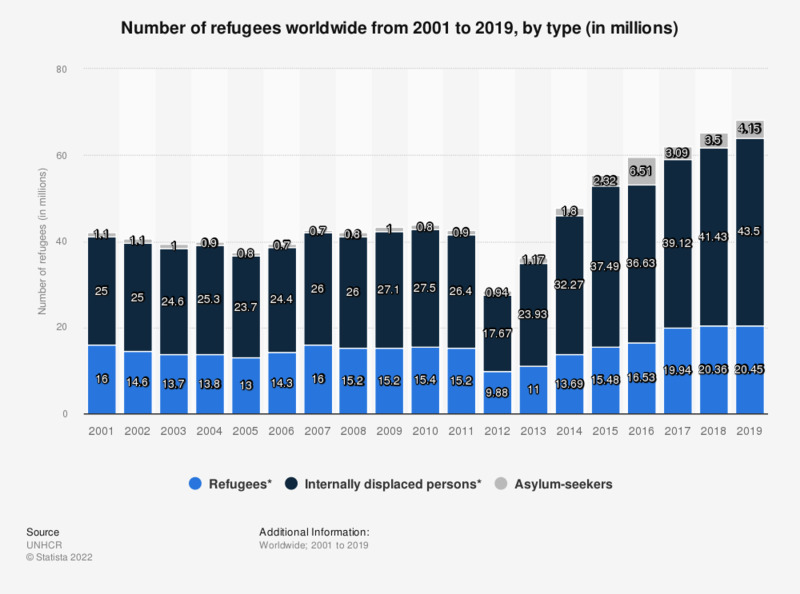 The statistic shows the number of refugees worldwide from 2001 to 2017. At the end of 2017, 39.12 million people were internally displaced worldwide. Internally displaced persons are people or groups of individuals who have been forced to leave their homes or places of habitual residence, and who have not crossed an international border. Data for each year is at year end. Data includes people in refugee-like situations or internally displaced persons-like situations. Data for previous years has been retrieved from previous publications. Would you accept asylum seekers coming from the following countries, of the following age and language skills?